Our comfortable and tastefully furnished farmhouse is at the end of a small village with a stunning view of the Orb Valley. A terrace and large garden belong to the house. A real place for relaxing and recreation the whole year over. But also a perfect starting base for hiking, bicycle tours or excursions in an exiting region. Two water supply dams in the near distance invite for swimming and boat rowing. If you are looking for peace and quiet in beautiful countryside, this place is perfect. Not far from Germany/Luxembourg, slightly further to the Netherlands but still possible for a day out so you can visit several countries in one week. Although nearby village is small it has all the necessary specialist shops, butcher, baker (couldn't find the candlestick maker though :-) grocer etc. A bit like Britain used to be before Tesco took over! The nearby closed railway has been converted into a cycle track and whilst we didn't try it I expect the surrounding area would be good for cyclists. One slight warning for British visitors, although pillows and duvets are supplied and you only need to bring your own covers, as is common in Europe two single duvets on a double bed, not a double duvet, so take the appropriate covers, the beds are twice the width of a single so you need a king size+ bottom sheet, a fitted double sheet won't even come close, and the pillows are square not oblong so they are too big for a standard pillowcase. Fore those who have difficulties with bringing along the necessary bedcloth we provide an extra service of supplying the corresponding bedcloth and towels at a rate of € 12,00 per person. Just returned home after a great week in the Ardenne. Peter and Heidi are great hosts and the house is ideal for a family holiday. The area is great and easy to get into Germany and Netherlands. There don't appear to be many Brits about and yet it is only 3 hrs from Calais. Highly recommended. This is the perfect place to stay with a family. The house is much bigger than it looks on the website and everything was so clean on our arrival. The bedrooms are spacious and the beds are enormous! Heidi and Peter, the owners, live next door and were very helpful with their suggestions of where to visit and what to do. The garden is delightful and the hammock was a favourite with our ten-year-old twins. The outdoor barbecue was well used and we enjoyed the long evenings sat outside watching the sun go down. There are lots of well-signposted walks nearby and the town of Malmedy is a delight. 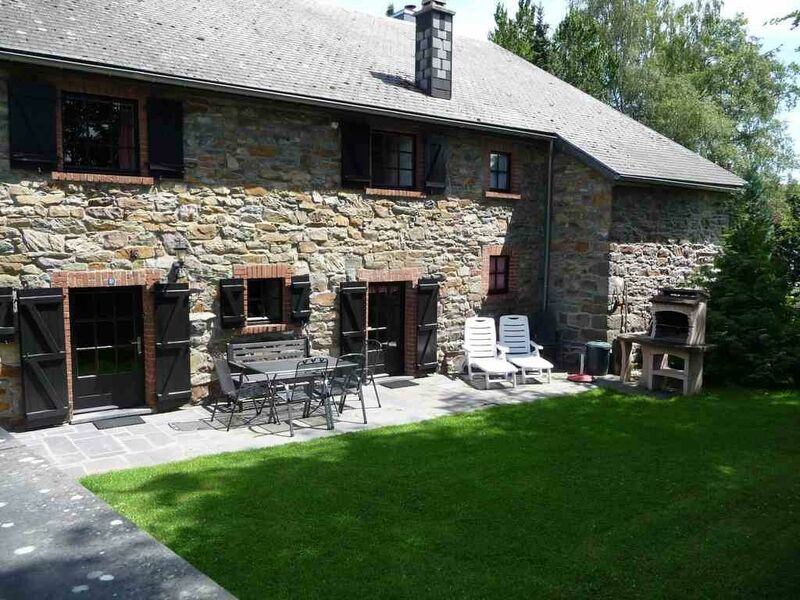 I can't recommend this charming house or this part of Wallonia highly enough. Renmoval is a small village on the Ambleve. It's surrounded by numerous forests and rivers which make up the nature reserve, Haute Fagnes.